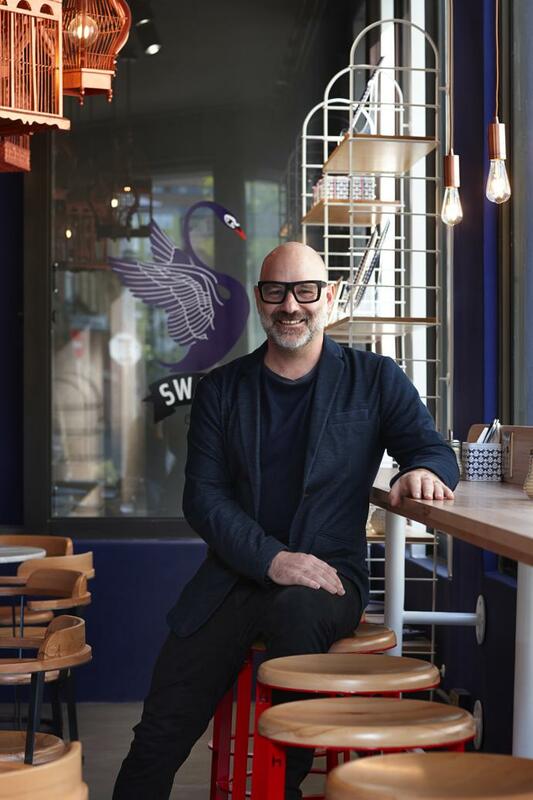 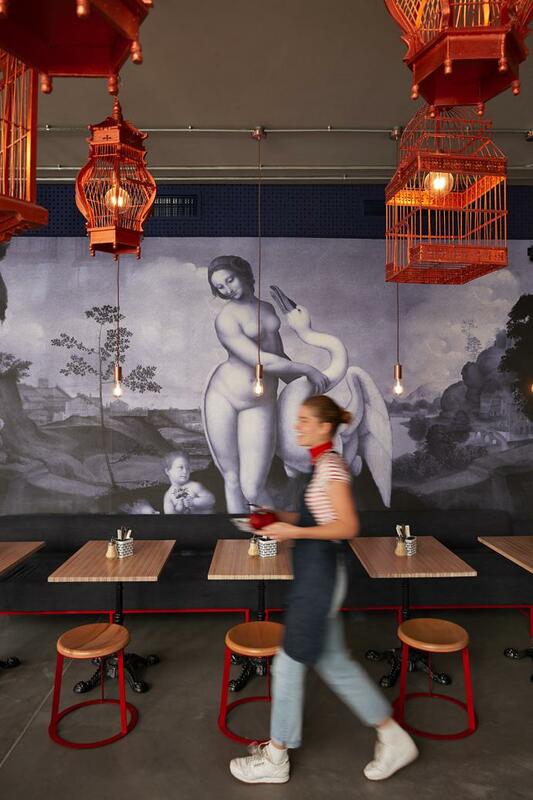 Designed by Cape Town-based interior designer Haldane Martin, Swan Café brings together an elegant, French-inspired colour palette of blue, red and white with custom-designed furniture pieces and a strong graphic identity influenced by the grace and mythological significance of the swan, a creature owner Jessica Rushmere strongly identifies with. 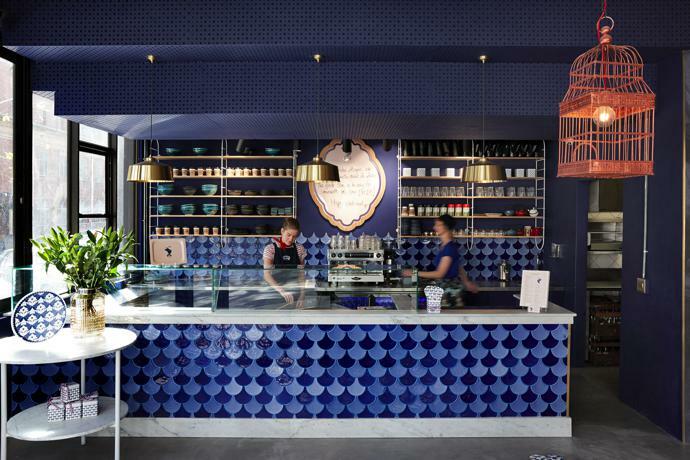 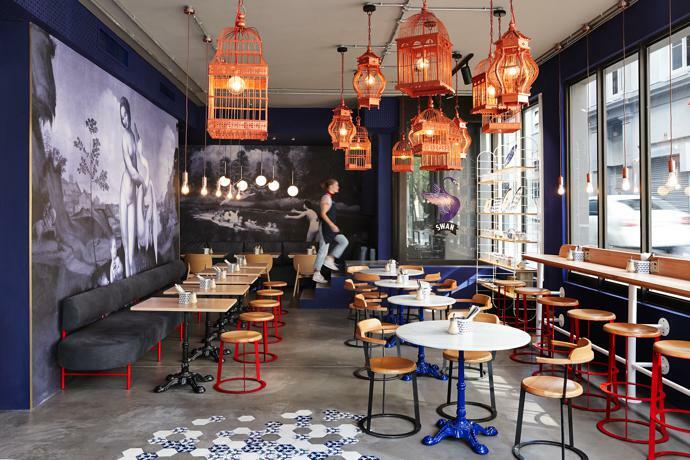 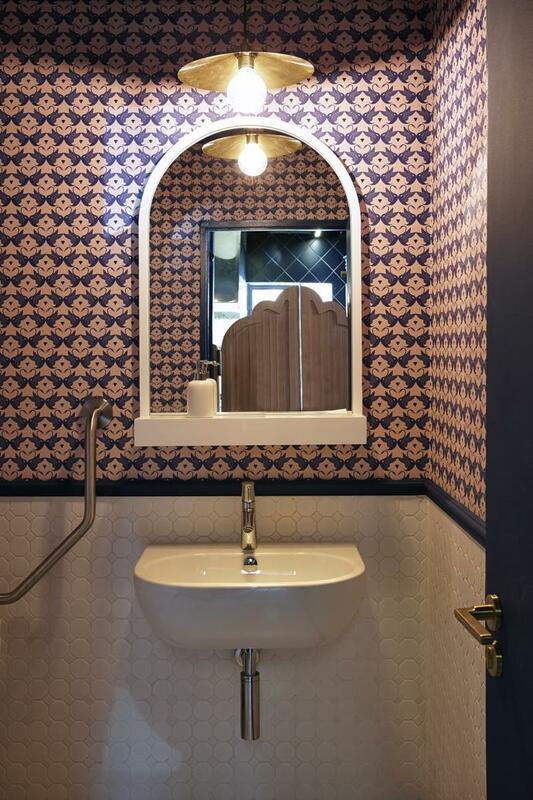 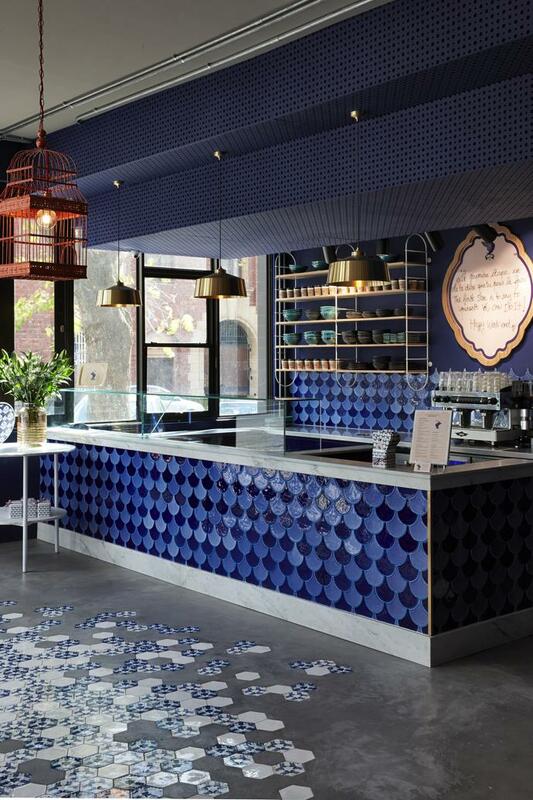 A collection of copper birdcage pendant lights, dramatic blue-and-white wallpaper, bold custom-made blue-and-white tiled mosaic flooring and a ceramic tile counter in shades of blue all stand out at first glance. 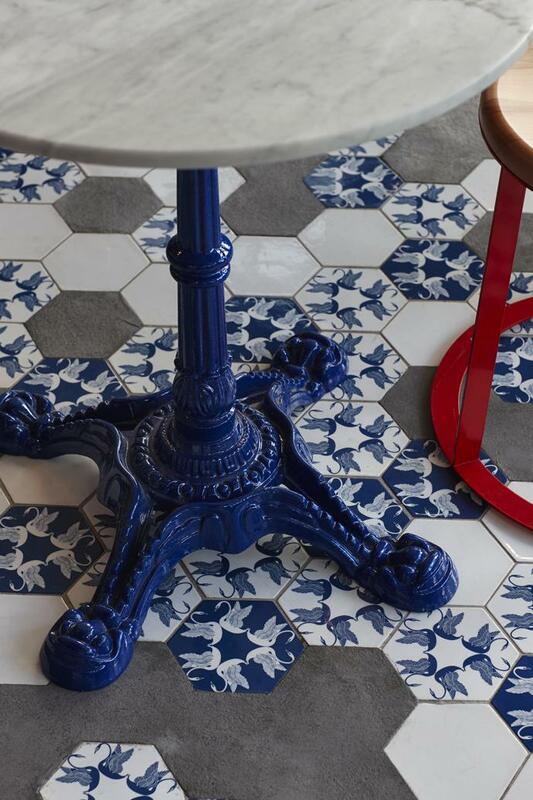 A closer look allows you to pick up the details: splashes of red in the bespoke furniture created by Haldane, marble-topped bistro-inspired tables with bright blue accents and trendy mesh shop fittings. 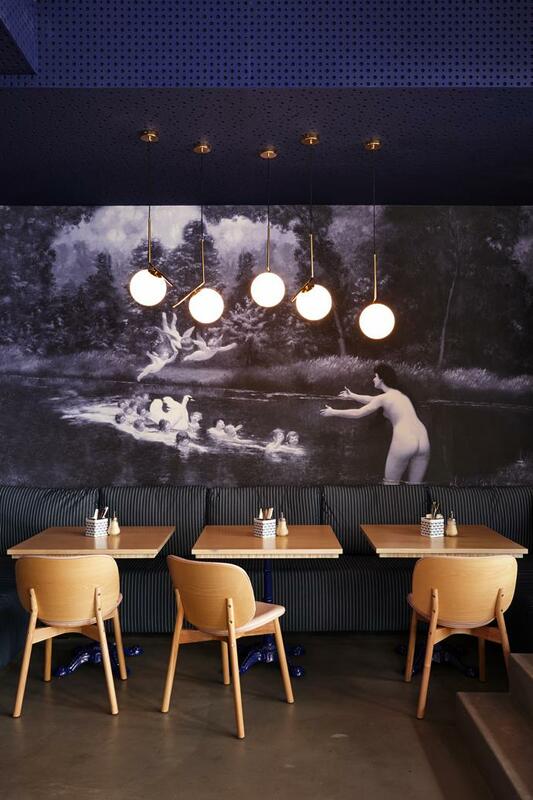 The focal wallpapers depict two versions of the mythological story of Leda and the Swan, one painted by Leonardo da Vinci and one by Jean-Léon Gérôme. 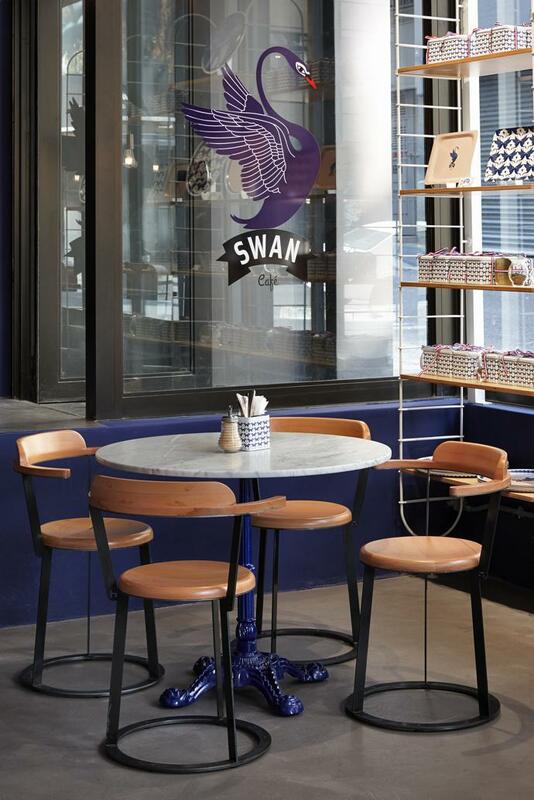 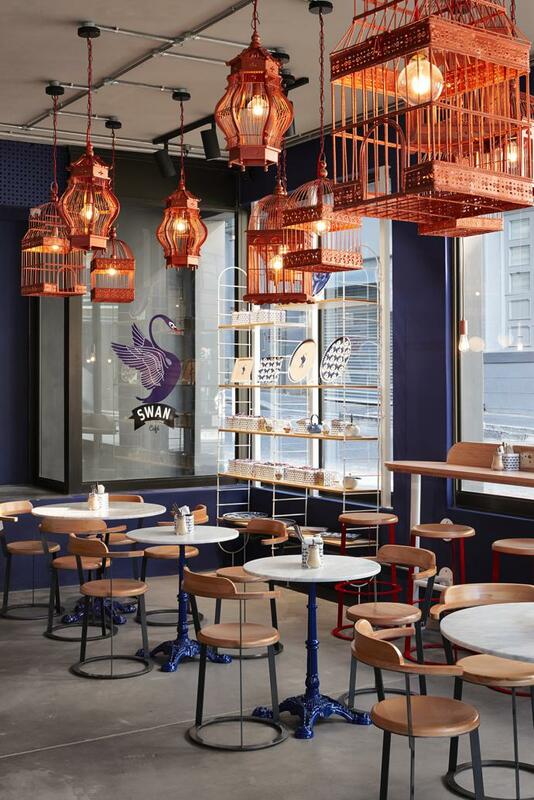 Apart from the delicious range of crêpes found on the menu, which include savoury galettes and classic sweet options, Swan Café also has a range of beautifully branded teas and trays for sale. 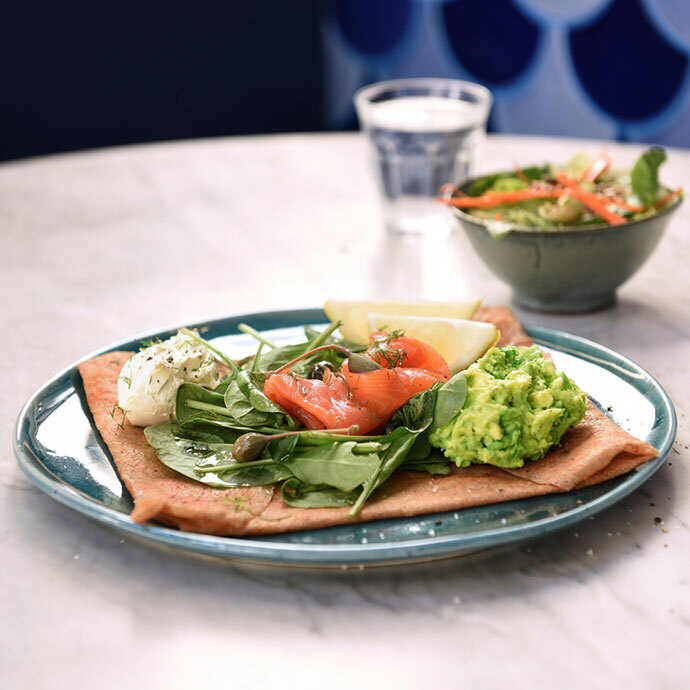 Simple Trout Galette: Franschhoek smoked trout ribbons, cream cheese, baby spinach, smashed avo, dill, caper berries and fresh lemon. 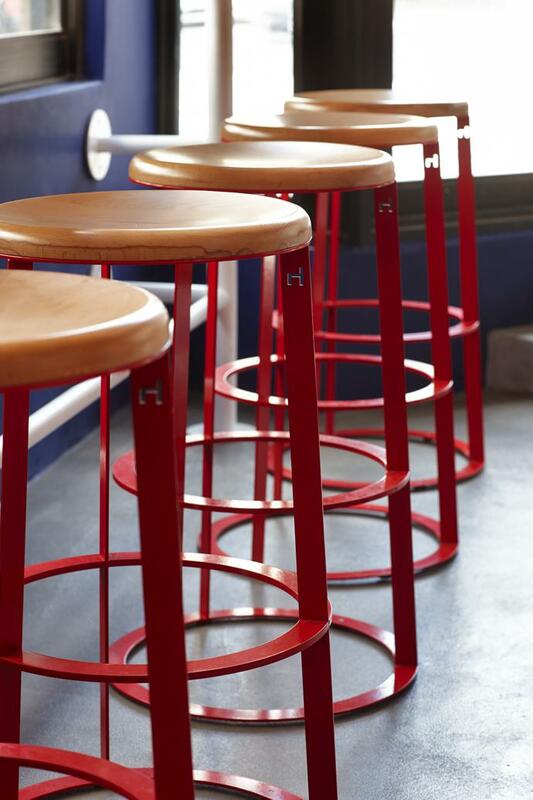 Image credit: Peter Maltbie. 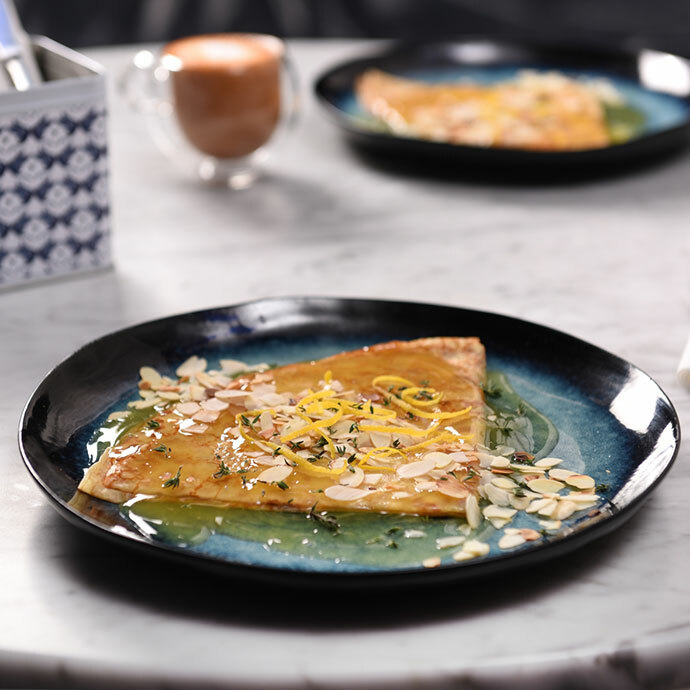 Lucky Luc Crêpe: Zesty orange sauce, fresh thyme, orange zest and toasted flaked almonds. 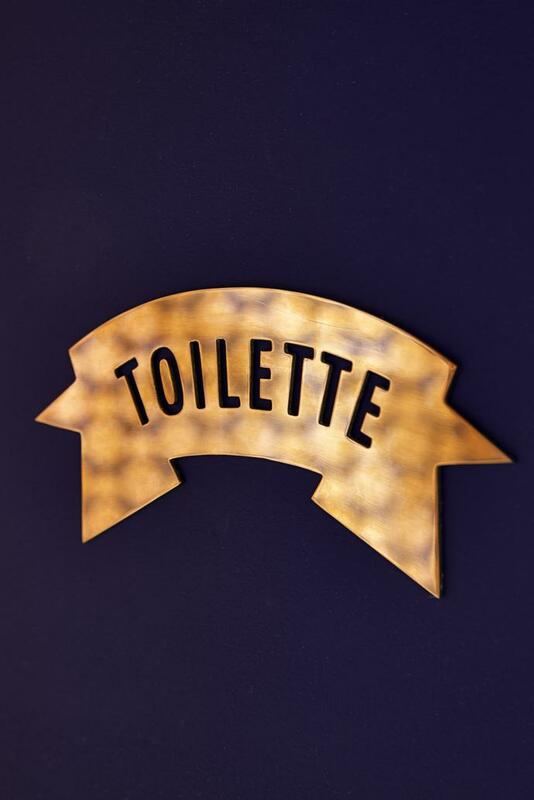 Image credit: Peter Maltbie. 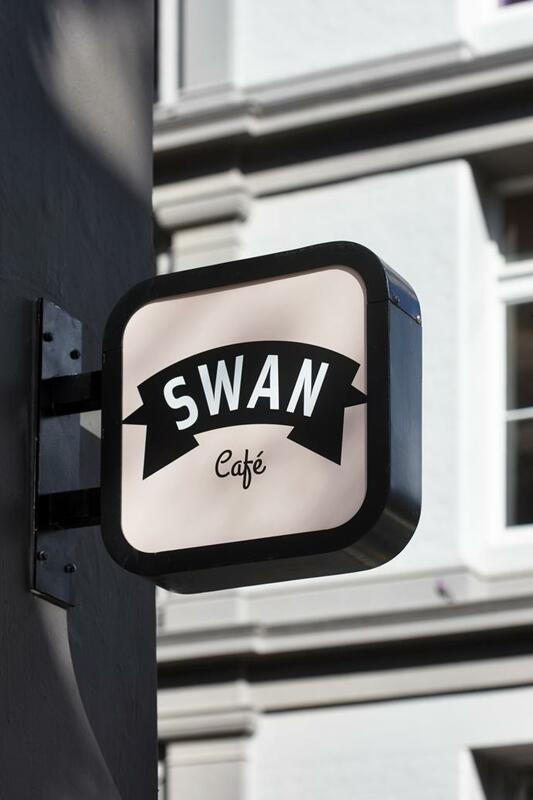 For more information and to view the menu, visit swancafe.co.za. 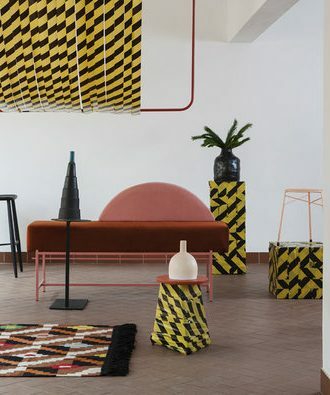 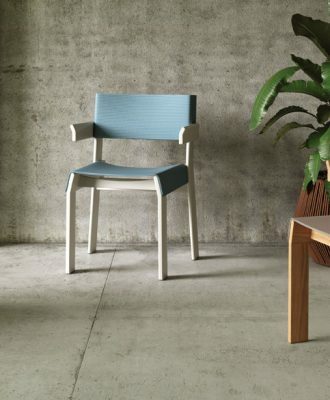 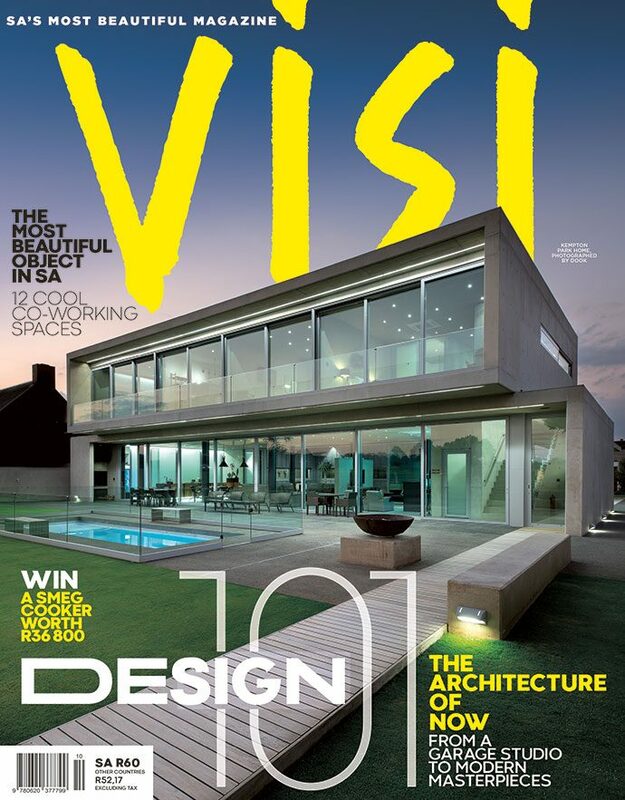 To see more projects by Haldane Martin, visit haldanemartin.co.za.